Mark Nagle formed Tulstar in 1986 as the sole shareholder. He has more than 30 years of experience distributing and marketing oils and chemicals globally. Before founding Tulstar, his previous endeavors gave him experience in ocean logistics and business development. In 1986, his vision of Tulstar became a reality. As CEO and President, he has led Tulstar to success, created market depth and assembled a multi-faceted group of talented individuals that comprise the Tulstar team. 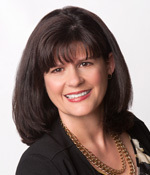 Debbie Robson has over 20 years’ experience in the public accounting and financial leadership arenas. In addition to 10 years in the public accounting arena with Arthur Andersen, she has also held vice president positions with 2 large publicly traded corporations and worked as a financial and operational consultant for a variety of other enterprises prior to joining Tulstar in 2013. Mark Fletcher joined the Tulstar team in 1998. His bilingual skills have been beneficial in further expansion into Central and South America. As Tulstar grew, he also grew professionally, into increasing managerial responsibilities. As Vice President, he currently oversees the sales team and manages the coordination of Tulstar policies & procedures. His persistence and dedication have led to Tulstar becoming and remaining an ISO 9001:2008 certified organization. 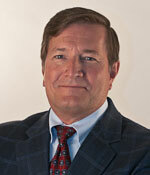 Upon joining Tulstar in 2005, Mark expanded business development by reaching new industrial segments. 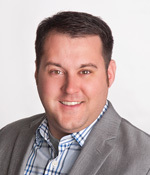 Pairing his sales experience with his marketing background, Phillips enhanced Tulstar’s marketing presence by managing the development of a modernized logo, launching a mobile friendly web page and improving trade show presence. Phillips’ transition into management has improved internal department coordination. Mark’s dynamic approach has proven beneficial in the management of business relationships both internally and externally. 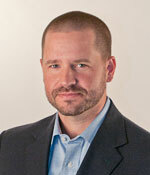 Jeremy Kriska has nearly 20 years of experience marketing base oils, transformer oils, and lubricant additives. 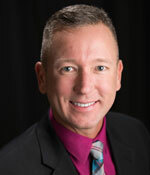 After completing his BS in Chemical Engineering from Texas A&M in ‘97, Kriska began his career with Chevron, including engineering and sales roles within Chevron’s Chemical and Oronite Additive Divisions. Upon completion of his MBA from the University of Houston In ‘04, he joined Swedish-based Nynäs Naphthenics, where he served as USA Sales Manager and in global marketing campaigns for global transformer and industrial rubber/tire markets. Kriska joined Tulstar in ‘09 and has worked to elevate Tulstar’s brand and presence in the base and process oil segments and develop key international base oil trading partnerships.